I love the printed edition of Dodho Magazine, I think the layout really showcases the photographers and photographs beautifully. 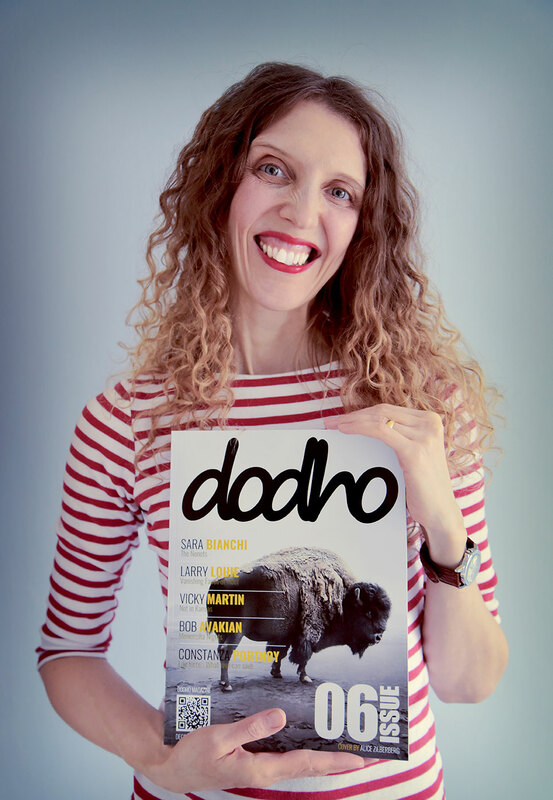 The quality of the magazine is excellent and in a world increasingly dominated by digital media it’s crucial for print media to stand out and that’s what Dodho does. 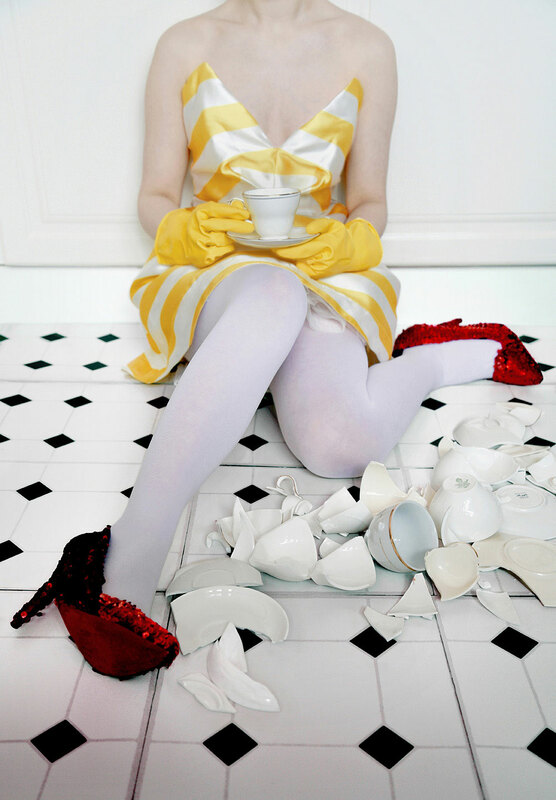 Vicky Martin is an award winning fine art photographer based in the UK. Although she studied art and photography in the 1990s it was not until 2008 when she was awarded a prestigious Rhubarb Rhubarb Bursary that she was able to pursue photography full time. I am a fine art photographer from the UK. I work primarily on personal projects but also shoot commercial work. I was introduced to photography whilst studying art and design and fell completely in love, it just seemed such a natural fit for me creatively. What inspired you take your Not in Kansas project? many levels, she exuded strength, independence, bravery, wonder and vulnerability. Hopefully the viewer will perceive these traits in the character created in my series. I love the creative process from initial concept through to making it all come together in the finished photograph and I’m always excited and challenged to be planning the next image and figuring out how to make it work. 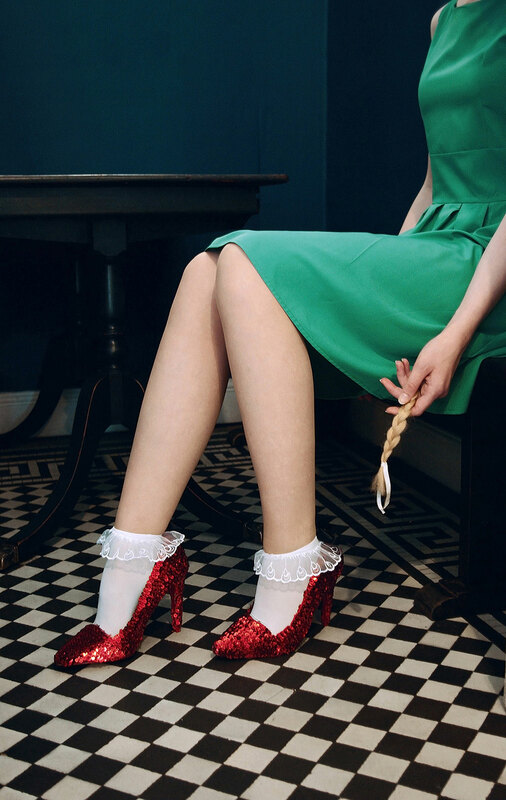 I am very much hands on and resourceful, making props and some of the more elaborate outfits in my photographs, in fact I made the shoes for Not In Kansas, I feel that this brings an added uniqueness to each image. With the series Not In Kansas location is key to the narrative, sometimes it has taken awhile to scout the appropriate location as creating narratives from my imagination can be difficult at times, trying to transcend these concepts into the real world practically can be difficult. Good photography connects, moves, makes you think, holds your attention. It depends on the photograph, I can have an initial idea and this won’t come to fruition for a number of weeks, if I have to scout location, source materials, make the costume / props this can take longer. It can be a long process to get to the finished photograph. I think when the all the images in the project connect with each other but they are strong individually. The narrative and emotion conveyed in the photographs connect with the viewer. It’s a feeling, instinctively I know when I got the shot I wanted. The perfect composition depends on the narrative in the photograph, what the main focus in the image is, what you want the viewer to be drawn to. I work with a Nikon D750 with Nikkor 24- 85mm f/3.5 f and use an Ultimax 72mm wide angle for some of my commercial work I also have a XJT Pro 72mm telephoto lens and a selection of filters. Websites are your calling card, I think it is important to have one that represents and showcases your photography in the best way. I am quite new to social media and have an instagram page, it has made my work more visible to a wider audience and allowed me to connect with people, galleries and organisations that I didn’t reach before. I am currently working on a new photography series which is in it’s early stages and I am hoping to work on and develop this further. I also would like to continue with the Not In Kansas series.